What is the frame drop? What is the measurement between the sill and ceiling? 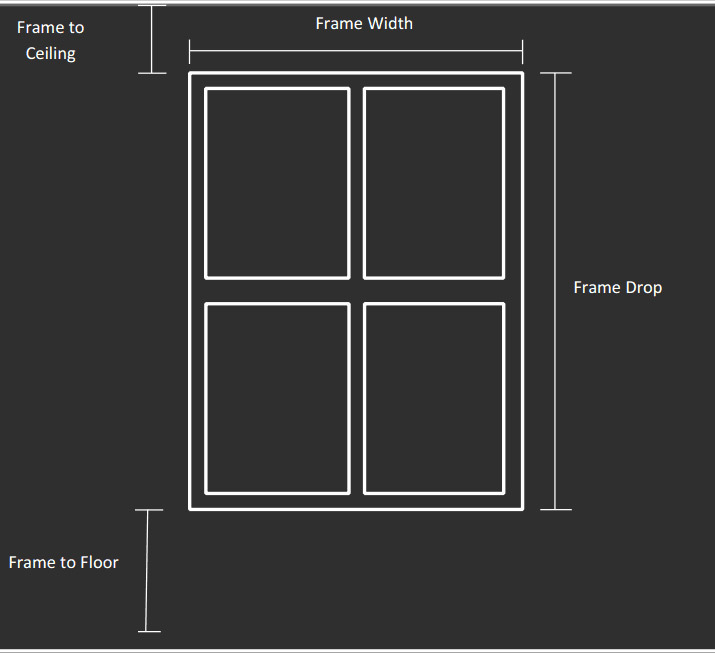 What is the measurement between the sill and floor? Will the track fix above the frame? How far? Do you want a centre opening curtain or a one way drawn curtain- left or right? Do you want a hand drawn or cord drawn fixture? What type of track do you want? Are there any returns? What is the size and are they right or left? Will it be a face fix or top fix? Or alternately, please contact one of our stores to organise a free in house measure and quote service.